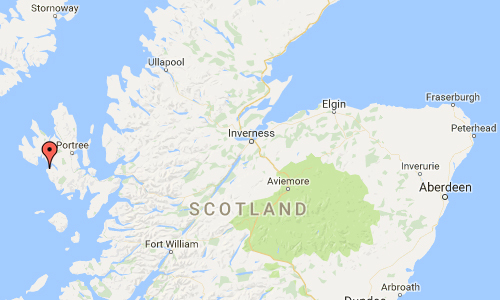 The Hen House is located in the township of Fiscavaig on the western side of the Isle of Skye in Scotland, Great Britain. 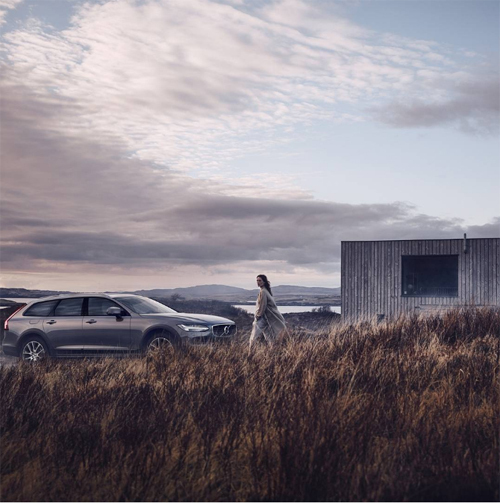 The client sought a small holiday house, simply designed, that respected and connected with the landscape context. 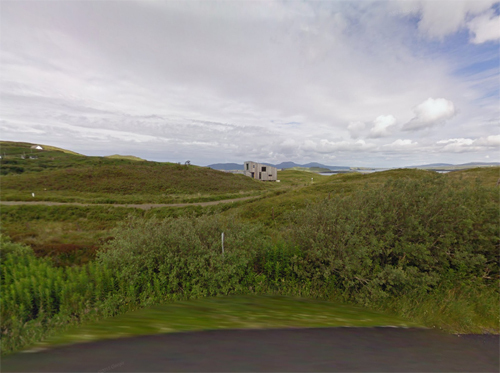 On the architect Rural Design’s first visiting the site it was difficult to see how any proposal could succeed if it disrupted a landscape that did not lend itself to intervention. 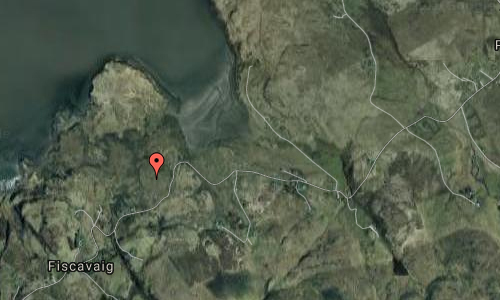 The gentle undulations present evoked the timeless character of Skye and its underlying geology. Untouched since the Ice Age, it seemed presumptuous that Rural Design, in their short time, should alter the site to suit their own purposes. 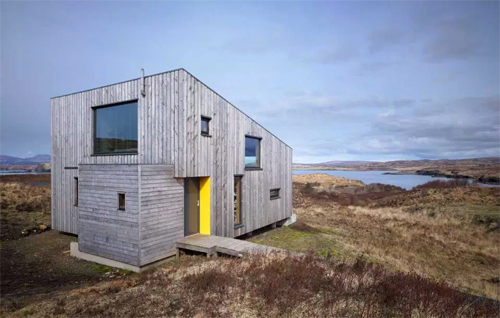 The form of the house deliberately narrows to the north, reducing its surface area, concentrating the view and leaning into the weather, while the cellular support spaces are clustered to the south. The lighthouse in the distance acts as a beacon to draw the focus of the house. The entrance bridge lifts one off the landscape and immediately upon entering one is drawn to the fully-glazed elevation to the north. Each window on the other elevations has a particular role: high level large windows draw light into the two storey volume while the lower smaller windows provide glimpses of the public side of the building, and frame views to the west. The structure of the house is deliberately on display and the flying central beam that stiffens the structure provides scale to the large volume. The interior is primarily clad on osb, used to provide racking strength to the timber frame and retained as the finished surface. Space is at a premium as the house is less than 70m2, and built-in plywood furniture incorporates storage and the stairs which lead to the upper level. The “Hen House”, as it is know locally, is a uniquely designed low impact holiday house. 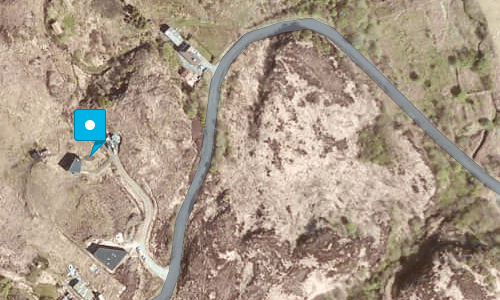 It sits in a beautiful location overlooking Loch Bracadale on the Isle of Skye. A perfect holiday rental for couples, small families or close friends. 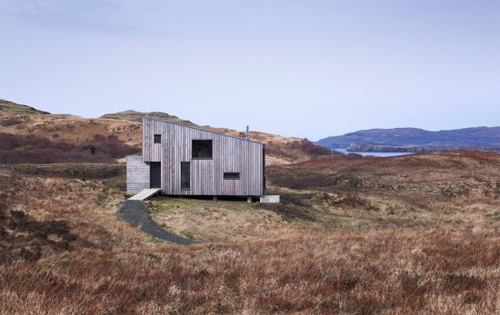 In 2010 the striking timber house became the first ever recipient of the Saltire Medal. 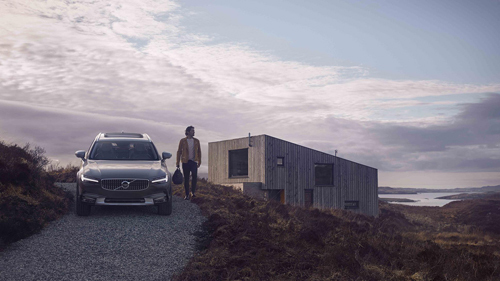 Featured in the Guardian, Small House Bliss, and the Financial Times 2015. This beautiful contemporary building was designed by Rural Design Architects. 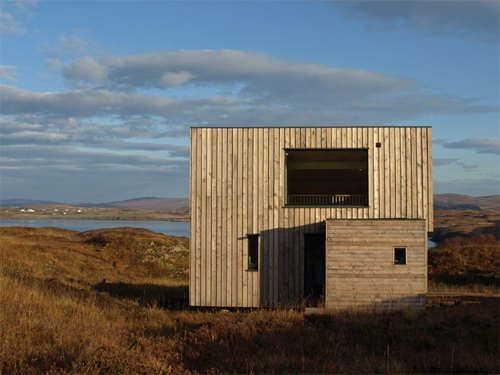 The house has appeared on Grand Designs and BBC2 programme, “The House that 100k built” with architect Piers Taylor. 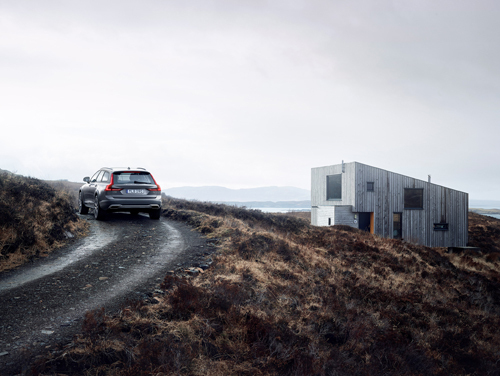 Due to the landscape and building Volvo will be using the Hen House as a location for marketing in 2016. More information at www.ruraldesign.co.uk, 15fiscavaig.co.uk and www.ilikearchitecture.net.